George Reynolds was the archetypal football club chairman - even down to the cigar and sheepskin coat. His career from jail-serving safecracker to Times Rich List member took in Spanish villas, a brace of Rolls Royces and a country mansion. He spent almost £30m on Darlington Football Club, before business woes elsewhere began to bite. Eventually he pulled out of Darlington and ended up fiddling the taxman out of more than £600,000. The 69-year-old started life in an institutionalised residential school in Sunderland, where his school reports left a lot to be desired. By the 1960s he was in prison, serving a six-month spell for theft and was immediately given solitary confinement for comparing the Durham Prison governor to a Nazi. He then turned to safecracking after learning how to handle explosives in North East coal mines and blew safes in office and shop raids, earning himself more jail time. He later set up a kitchen worktop business in the County Durham village of Shildon, where Direct Workshops became a multi-million pound venture. At one point his Witton Hall home, near Shildon, was worth £7m. He also owned a house next to the Spice Girls in London, a luxury yacht, three top-of-the-range Mercedes cars as well as other luxury vehicles. In 1988 he made about £30m when he sold part of his Direct Workshops business and years later turned his attentions to struggling Darlington Football Club. 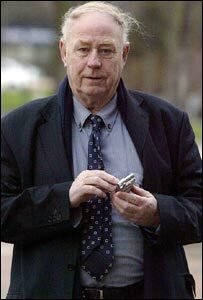 In May 1999 he took over as chairman of the ailing Division Three club to the bemusement of many supporters. At one fans' forum meeting, his wife Susan took the microphone and claimed it was not unknown for players to "throw matches". That led to a walkout of the players, but Reynolds would only say: "Players are like cattle - when one gets up, they all get up because of teamwork. I couldn't care less if they want to play or not. If they walked, I would be glad to see the back of some of them." Reynolds then embarked on a new £20m stadium - dubbed the Reynolds Arena - which boasted marble toilets, gold-plated taps and lifts to take fans to their seats. He once took to the pitch in a mock prison suit complete with arrows, with a ball and chain around his ankle. It was his involvement with the football club that ultimately led to his appearance at Newcastle Crown Court on charges of tax evasion. Two days before Christmas 2003 administrators were called in and a few weeks later Reynolds stood down as chairman. It was during the ensuing legal wrangling that Reynolds and two associates drove to a small Co-operative Bank branch in Shildon and withdrew £500,000 in cash. Reynolds' car was subsequently stopped and the money found in the boot, sparking a financial paper chase. 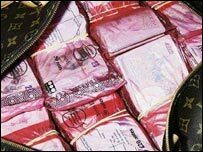 It resulted in various allegations of fraud and money laundering, which have now been left on file, following his admission of tax evasion. Throughout all this he carried a card proclaiming: "George Reynolds, managing director, chairman, gentleman, entrepreneur, adventurer, maker of money and utter genius."